Osamwonyi Bright Osas is a graduate of Political Science and Public Administration who is observing the mandatory one year NYSC programme at the College of Education, Ikere-Ekiti. 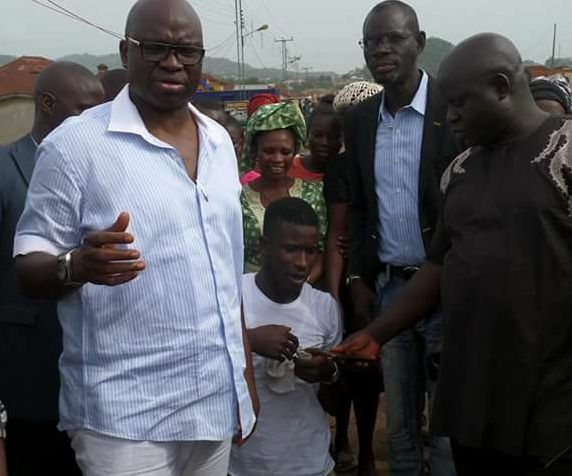 Luck smiled on him as he encountered Governor Ayo Fayose during his visit to Ikere-Ekiti for on the spot assessment of the third phase ongoing Ado/Ikere road dualization on Thursday. 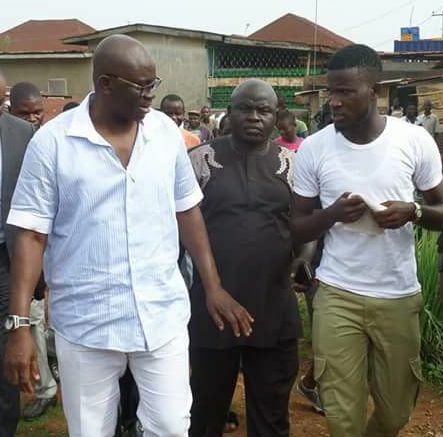 Governor Fayose had finished the supervision and was on his way to his bus when Osas accosted him. He said; "Good afternoon Mr. Governor, I am a native of Edo, I relocated from Adamawa to Ekiti State because of my love for you, I follow everything you do religiously online, I love you so much and I pray God take you higher and higher. I graduated from UNIBEN with a first class in Political Science and Public Administration, one thing I pray thee Sir, please allow me snap with you Sir", Osas who was in NYSC outfit begged. Fayose obliged and went further to put smiles on his face. He said, "go to the provost tomorrow, tell her I asked her to give you automatic employment." 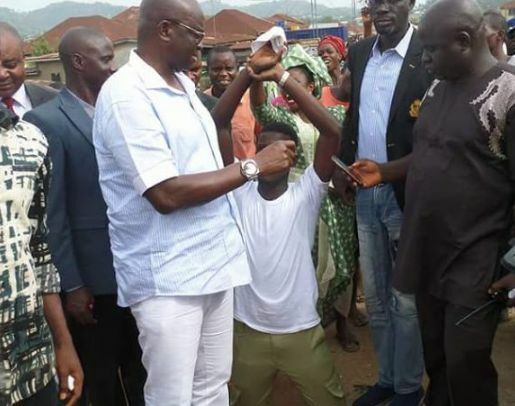 Osas who was overwhelmed by the governor's gesture went on his kneels in appreciation, thanking God and governor Fayose for the favour. Speaking with newsmen after the encounter, Osas said "I am overwhelmed seeing the governor of Ekiti State today, he's an amiable leader and he is so down to service, when I was in school as an undergraduate I do read many of his speeches on what governance should be, on how to move Nigeria forward. "I am in love with the fact that he's fearless, he discharges his duties without fear or favour, that is one of the qualities I cherish in him. I learnt from him that for you to rule successfully, you must appreciate the common man, he is a very good friend of the masses, seeing him come so close to the people inspires me, I was just coming from my CDS now and I saw him here, I was so happy and I said I must see him before he leaves and that was why I accosted him. "I just thanked God for what happened now and I pray God bless him abundantly. He has just called the provost that I should be retained, that I should be given automatic employment, permanent employment, he called the provost and the provost said first thing on Monday I should come with my CV. 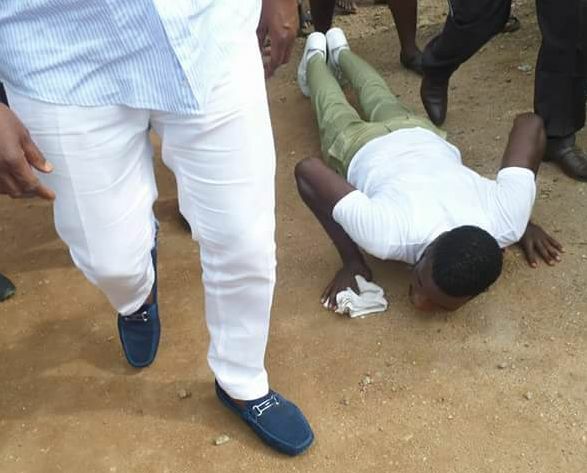 I just want to appreciate governor Fayose."